The phrase Rebound Therapy, when correctly applied describes a specific methodology, assessment and programme of use of trampolines to provide opportunities for enhanced movement patterns, therapeutic positioning, exercise and recreation for a wide range of users with additional needs. It is used to enhance movement patterns, develop and promote motor skills, body awareness, balance, coordination and communication. It is a highly enjoyable activity and is used to great effect as a cross curricular teaching tool. Though the idea of using trampolines in special education has existed since the 1950s it was not until the 1970s that the concept of Rebound Therapy was developed by the physiotherapist, remedial gymnast and head teacher Eddy Anderson who worked with children with both physical and learning disabilities. In 1992, following interest from the Chartered Society of Physiotherapy and the British Trampoline Federation, Eddy Anderson provided training courses to both organisations in the use and implementation of Rebound Therapy following many years of working in education delivering Rebound Therapy on staff development courses. Since 2011, Rebound Therapy has been introduced into Australia, Malaysia, Canada and the USA.. When working with individuals in Rebound Therapy, if appropriate, progress can be accurately measured and recorded using the Huddersfield Functional Index in conjunction with the Winstrada development programme. Since its inception Rebound Therapy has expanded beyond its original user base and is being used with an increasingly expanding client base. Rebound Therapy should always be used as part of a therapeutic development programme. For students with profound and complex needs, it is recommended that this programme is developed in liaison with a physiotherapist. For more ambulant students, it is recommended that the first three grades of the Winstrada development programme are followed because this is based entirely on the Rebound Therapy training course. Pregnancy -Trampolining during pregnancy can cause disruptions to the womb and has the potential to cause harm to an unborn baby. Also, the extra strain of such a high energy sport may cause damage to the mother whose vital organs are already functioning at a higher than normal level. Detaching retina -This disorder is caused when the retina (the thin layer, at the back of the eye, responsible for light detection) starts to separate from the eye socket. It can cause blindness if not treated early. Trampolining can cause the retina to completely detach, leading to total blindness. Atlantoaxial instability (AAI)- A condition associated with 10-40% of people with Down’s Syndrome. Weakened ligaments is normal in people with Down’s Syndrome, causing slack joints. This may cause a weakness in the Atlanto- Axial joint of the first (Atlas) and second (Axis) vertebrae, right below the skull. This makes sufferers of AAI prone to a slippage of these vertebrae which can cause brain damage and paralysis. People with Achondroplasia or another genetic skeletal dysplasia. People with Achondroplasia and some other forms of dwarfism have an exaggerated lumbar lordosis and spinal stenosis, these 2 factors increase the jarring forces through the spine on impact. Rebound Therapy, as stated above, can provide a large array of benefits for a large group of patient groups. As a physiotherapy intervention one of Rebound Therapy's primary aims is to impact upon muscle tone disorders. However it is important to provide information on the type of conditions which may benefit from Rebound Therapy. It is important to remember that the conditions that will be elaborated upon are not the only ones which can benefit from Rebound Therapy. Hypertonia is increased tightness in the muscle tone, which reduces the capacity of the muscle tissue to stretch. This is caused by damage to the motor pathways, in the central nervous system, which carry information from the central nervous system to the muscles that control basic activities such as posture, muscle tone and muscle reflexes. Left untreated hypertonia can cause severe pain, reduced quality of life, loss of function and deformity. In the most severe of cases hypertonia can completely stop joint movement. There are two types of hypertonia; spastic hypertonia and dystonic hypertonia. 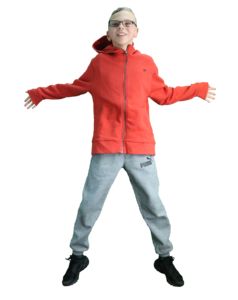 Spastic hypertonia- Spastic hypertonia can be caused by a number of conditions such as; cerebral palsy, stroke, spinal cord injury. This variant of spastic hypertonia leads to uncontrolled muscle spasms, stiffening and straightening of the muscles and sudden contractions of all or part of the muscle leading to abnormal muscle tone. Dystonic hypertonia- This refers to the resistance of the passive stretching of muscles (passive stretching of muscles occurs when the physiotherapist stretches the muscle at a low velocity to a comfortable length). Dystonic hypertonia also refers to when the muscle returns to its previously fixed position following movement. This type of hypertonia is most common in Parkinsonism. Hypotonia is a state of low muscle tone which can often lead to reduced muscle strength. Hypotonia is not the same as muscle weakness but it can sometimes be difficult to utilise the muscle which exhibit low tone. Muscle weakness can develop in association with hypotonia dependent on the underlying cause of the hypotonia. Hypotonia itself is not a specific medical condition but is a manifestation of one or several conditions. Rebound Therapy can also useful in the treatment of individuals with Autistic Spectrum Disorders (ASDs). During Rebound Therapy the individual with an ASD will be paired with a qualified Rebound Therapy instructor, in most cases a physiotherapist, who will be tasked with leading a treatment session. 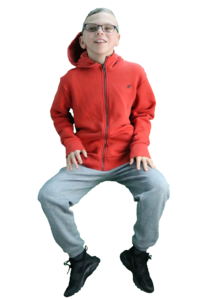 This is a great example of how Rebound Therapy can improve focus and concentration and improve the ability to maintain eye contact as the child with an ASD will need to focus and pay attention to the instructions provided by the Rebounder. With Rebound Therapy being originally developed in the educational environment an opportunity to improve attentiveness and concentration is an often welcomed opportunity for child development. Rebound Therapy can only be carried out by therapists who have received training and have gained practical experience by attending a Rebound Therapy course which will typically include the Winstrada Trampoline Development Programme (grades 1 to 3) and the Huddersfield Functional Index for accurate measuring and recording or progress and providing evidence of outcomes. While the physiotherapist remains responsible for the overall assessment and re-evaluation of the Rebound Therapy service user, the modality itself can be delivered by other trained individuals. When delivered in the stereotypical special education environment with which Rebound Therapy is most closely associated, this means it may be delivered by teachers, teaching assistants, support workers and speech and language therapists. For safety reasons Rebound Therapy can be resource intensive due to the number of spotters required around the trampoline to ensure the safety of the service user. In addition to this the facilities required for the safe practice of Rebound Therapy may be hard to find. A ceiling height of 4.87 metres is indicated as the safe minimum ceiling height for the delivery of Rebound Therapy. Ceiling heights can be lower but the service user should not be bouncing more than a safe height and a risk assessment should we written up that accommodates the characteristics of the environment as well as the students. In addition to the ceiling height, the environment must be able to contain a regular sized trampoline. Due to the unique needs of the equipment Rebound Therapy is both staff intensive and as a result cost intensive. This is in addition to the large setup cost of equipment. As a result of the staff requirements and equipments and cost requirements it may be difficult to effectively and safely implement Rebound Therapy in some settings. Previously the CSP has identified Rebound Therapy as an area of physiotherapy which would benefit from further research. Given the high costs associated with Rebound Therapy in comparison to other alternative treatments there is a definite need to carry out further research into the area to compare it to more traditional interventions to see if there is a more significant benefit to Rebound Therapy which could in turn justify the higher costs. The below video gives an example on the uses of Rebound Therapy. While not exhaustive, this video provides a good example of the range of techniques that are used in Rebound Therapy. ↑ 1.0 1.1 Eddy Anderson. What is Rebound Therapy? http://www.reboundtherapy.org/papers/rebound_therapy/what_is_rebound_therapy.pdf (Accessed Online April 5th 2015). ↑ 2.0 2.1 2.2 Chartered Society of Physiotherapy. Safe practice in Rrebound therapy. London: Chartered Society of Physiotherapy, 2007. ↑ 3.0 3.1 Thomas Sanderson. A report on Rebound Therapy’s usefulness with Children with Disabilities. http://www.reboundtherapy.org/papers/rebound_therapy/RT_usefulness_with_disabled_children_Tom_Sanderson.pdf (Accessed April 5th 2015). ↑ 4.0 4.1 Chartered Society of Physiotherapy. Priorities for Physiotherapy Research in the UK: Topics Prioritised by the Mental Health and Learning Disabilities Expert Panel. London: Chartered Society of Physiotherapy, 2002. ↑ 5.0 5.1 Watterston, R. and Delahunty, M. A Pilot Study Investigating the Use of Rebound Therapy for Clients with a Learning Disability. Page 20 in: Huddersfield Functional Index: Rebound Therapy Outcome Measures Toolkit. Huddersfield: Huddersfield NHS Trust, 2001.